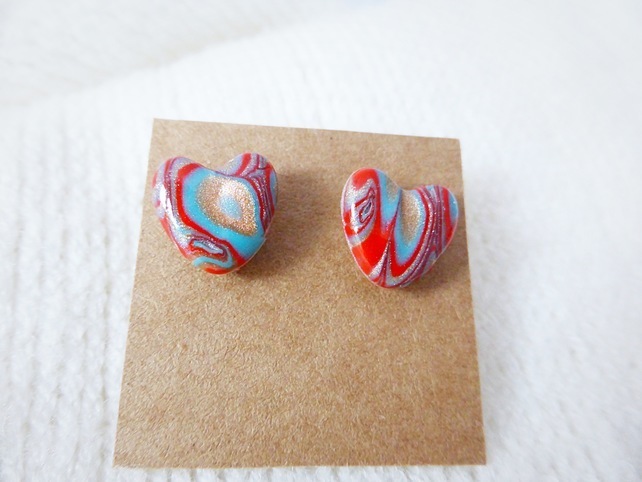 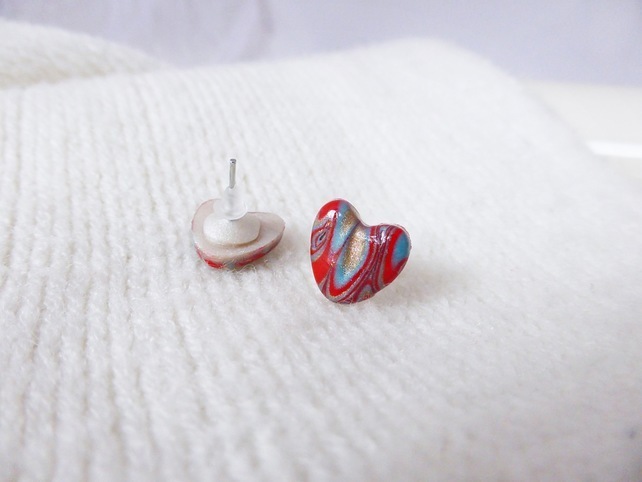 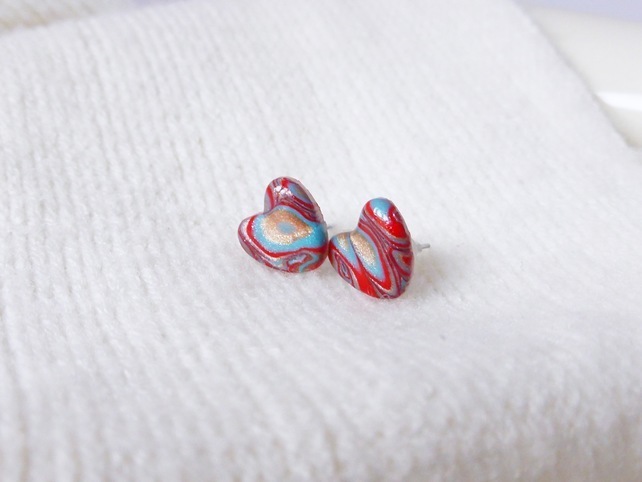 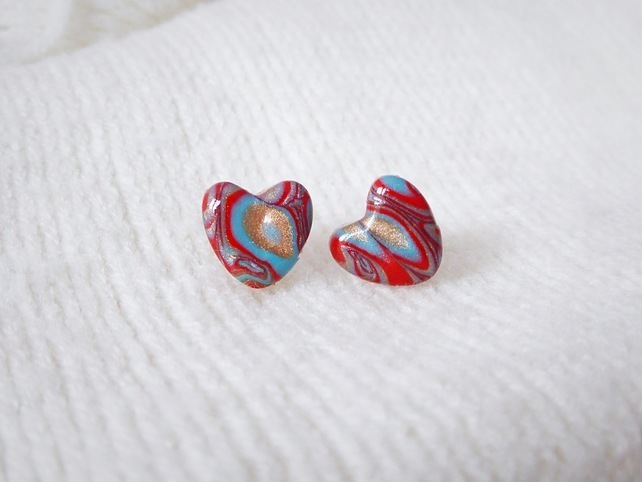 An unusual & unique pair of heart shaped stud earrings. 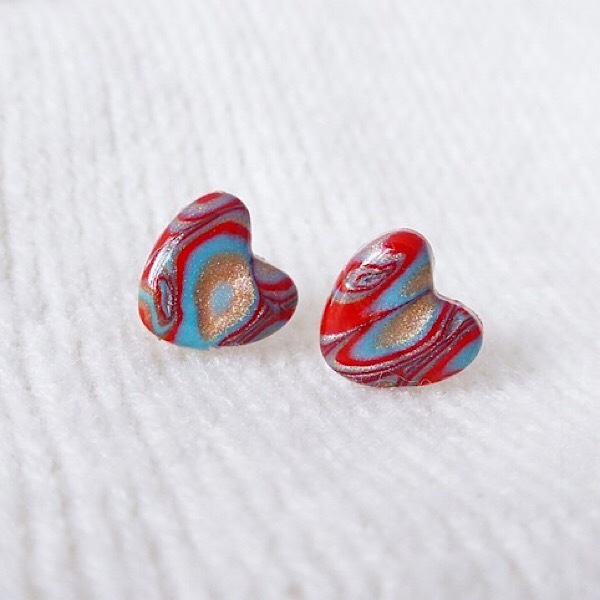 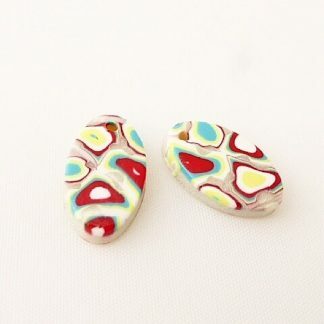 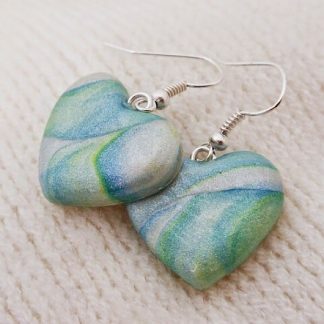 Lovingly handcrafted from Polymer Clay using the mokume gane technique. 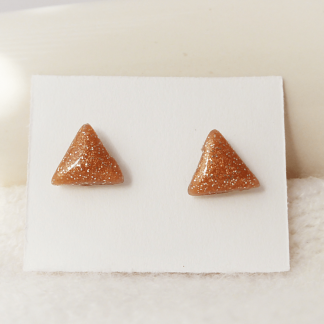 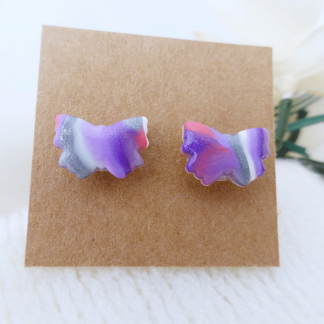 A perfect pair of earrings for any occasion.